!! 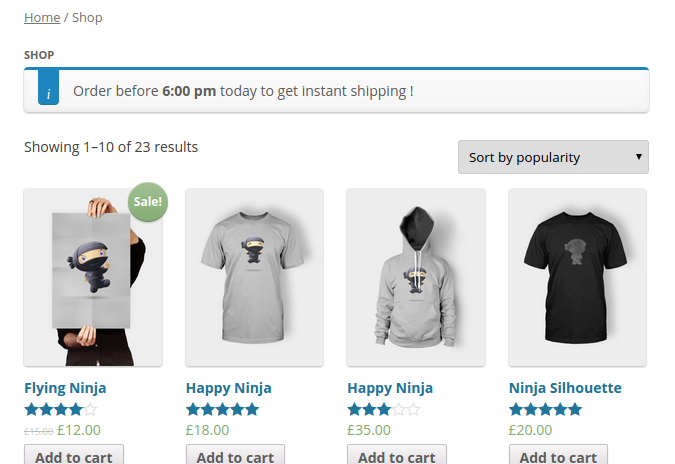 Now Supports Notices on Single Product page and Shop Page !! Plugin supports role and time based filtering for each notice that means - you can show notice to users with specific roles. 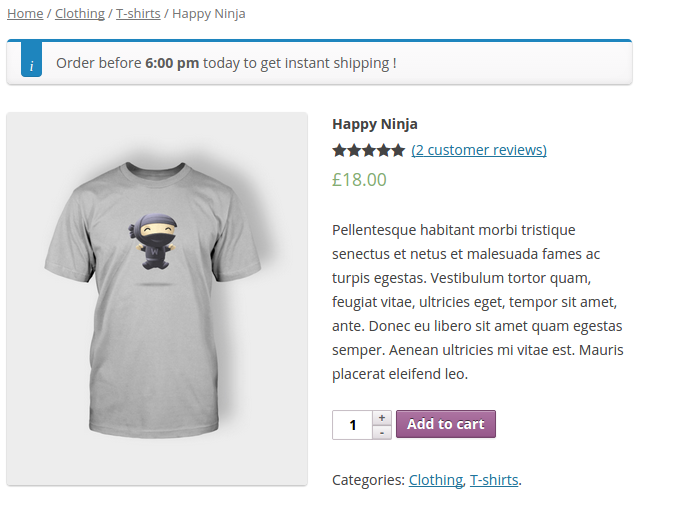 - you can display notice for certain period of time. 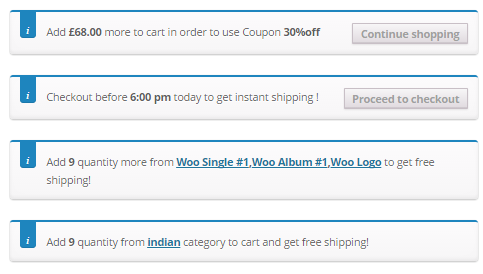 Plugin has easy to use admin UI to quickly setup all cart notices. Fix – Bug with category based notices. Fix – Compatibility with php 7.0. 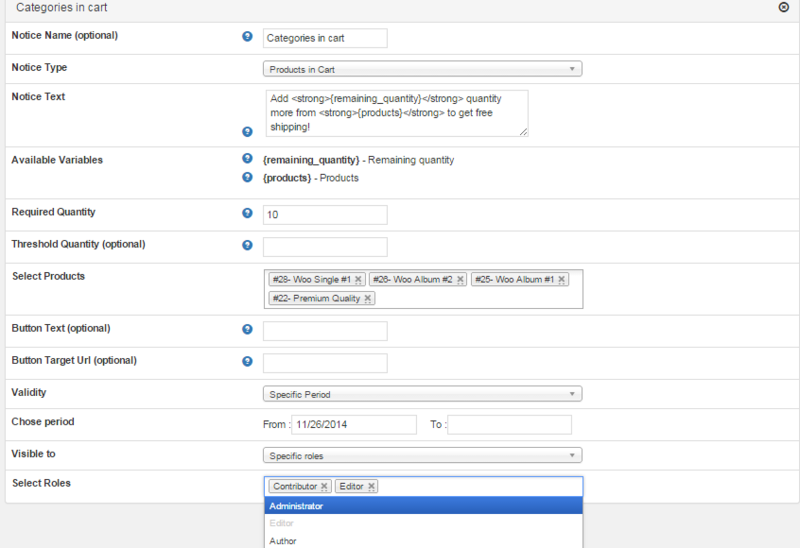 Fix – Bug on plugin settings page. Fix- hide notification if minimum amount = order amount. Fix- hide notification after deadline hour is passed. 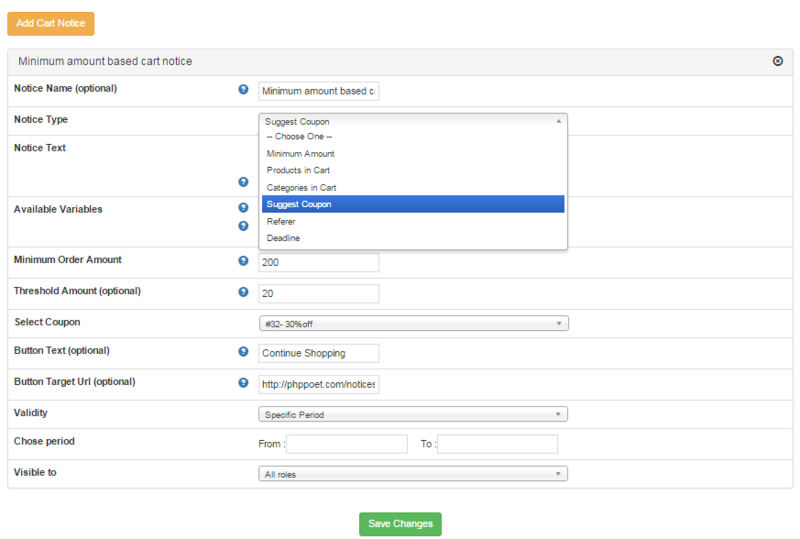 Added option to include shipping tax with normal tax. 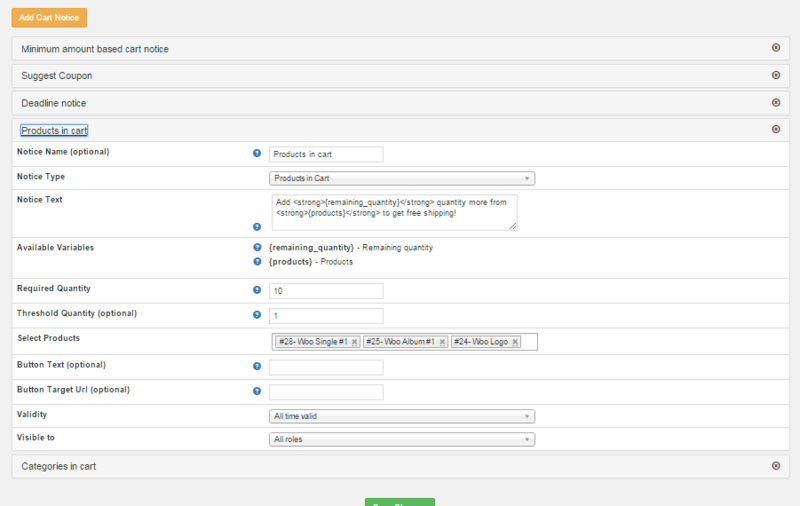 Some changes in admin settings api. 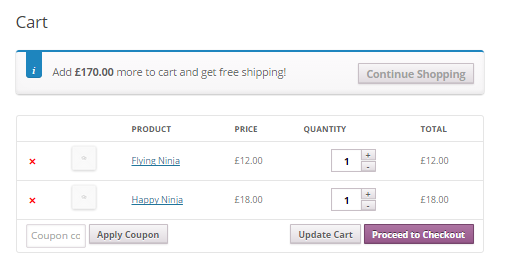 Added Option to hide checkout page notices. Excludes shipping cost in minimum order amount count. 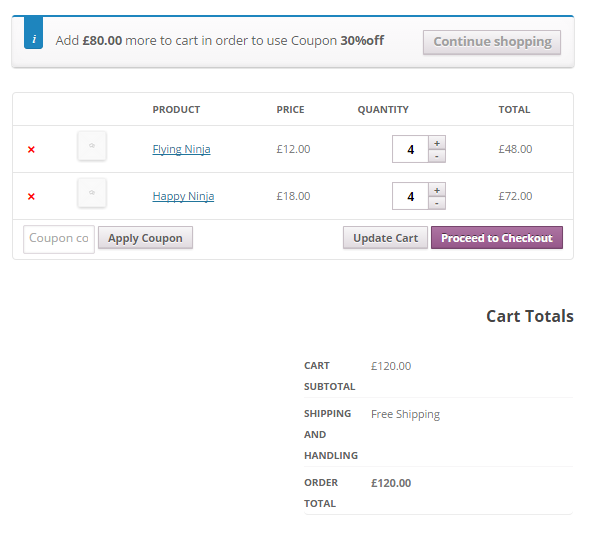 Displays notices on checkout pages also. 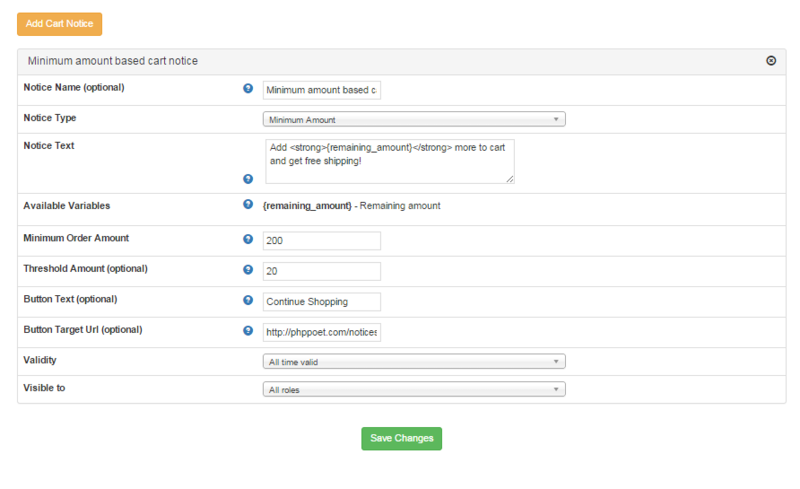 Fixed bug related to minimum order amount based notices.